March against police brutality ends in violence, arrests | C.O.B.P. Three police officers and one civilian were injured, though none seriously, after the annual march against police brutality turned violent. The protesters gathered near Parc Lafontaine at about 7:50 p.m. and marched south. 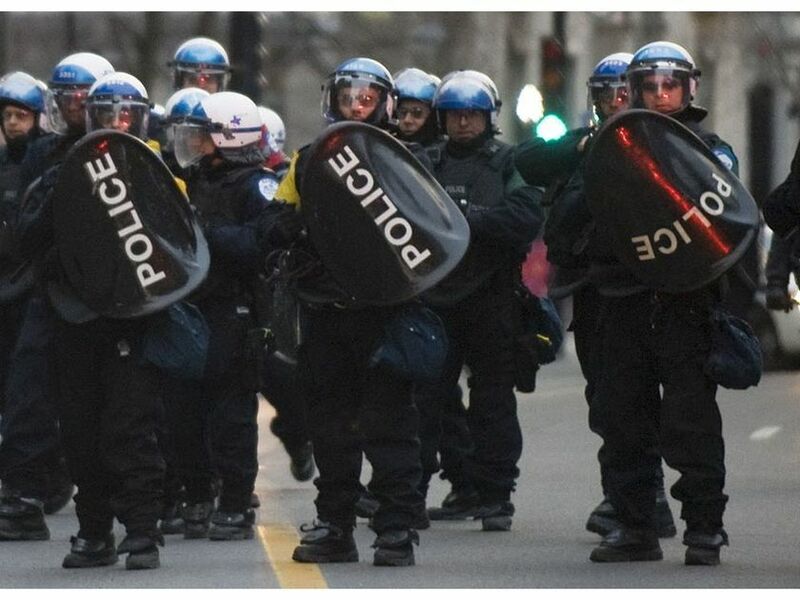 When some protesters began breaking windows of businesses on Ste-Catherine St. at about 8:30 p.m., police officers moved in and ordered the protesters to disperse.